The boys had been asking me when we were going to start packing for our vacation. Though it's still a month away, they know me well and realize that I have waited longer than usual to pack. While I do typically pack early, we don't normally go to Florida so early in the fall and we're still wearing our summer clothes, but since they were all so anxious to pack I quickly wrote up a check list for each of them, handed them their suitcases, and told them to go ahead and pack. They packed their own bags for vacation! They did a great job too. 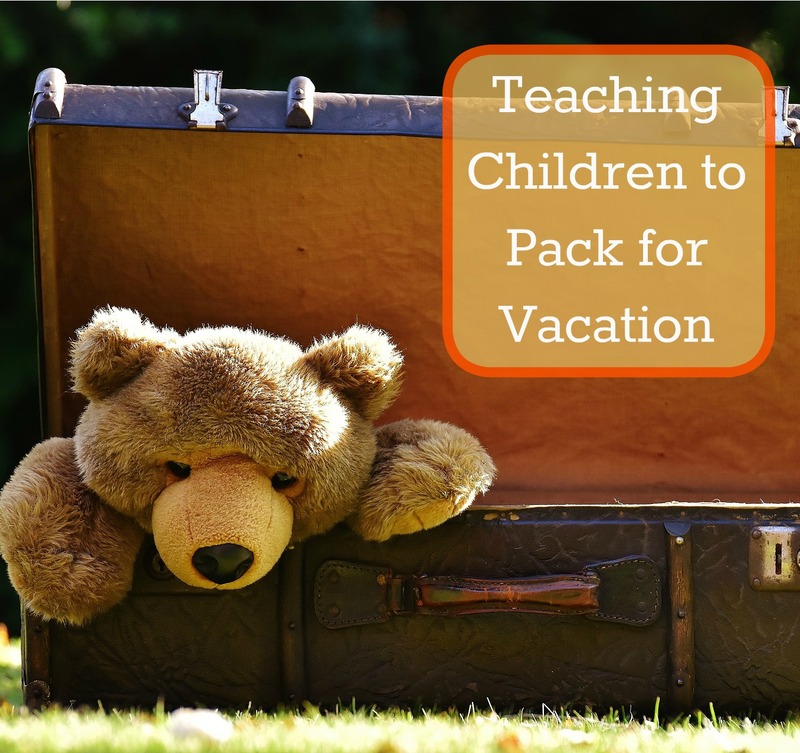 They picked out their favorite clothes, folded them, and tucked them away neatly in their suitcases. They checked off those items that were packed and the two older boys each ended up doing a load of laundry to make sure they were all set. We still have some things they'll need to pack before we leave but for the most part they are all done. I love that they are getting so good at tackling all these life skills. Not one person complained about packing their bags or even asked for help (beyond Evan asking me to read his checklist to him). Next time we pack for a trip I'll have to sit with the boys and see if they can write up their own list to pack from!